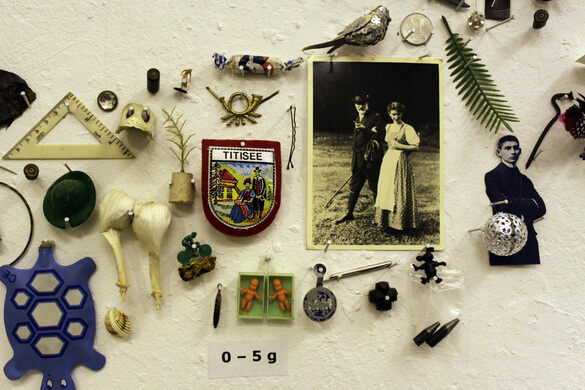 A wunderkammer of mysterious objects and stories. 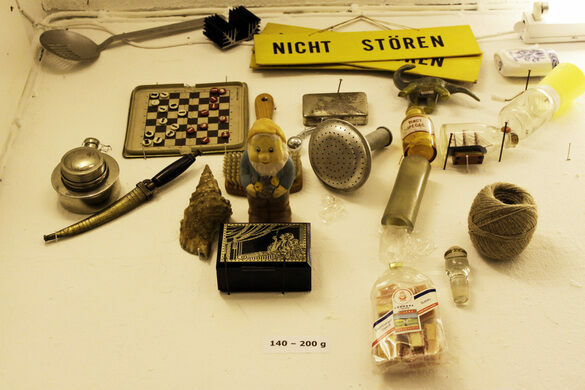 Berlin seems to be fascinated with the examination of “things.” The Museum der Dinge, a collection of everyday items devoted to modern object design, and the Design Panoptikum, a surreal museum of extraordinary industrial objects, are a couple examples. 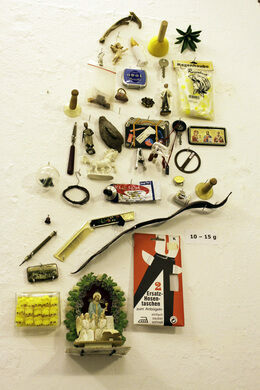 This beloved curio collection of “Unheard of Things” is further proof. A restaurant and observation deck built in a unique broadcasting antennae. Art and a pun, all in one. 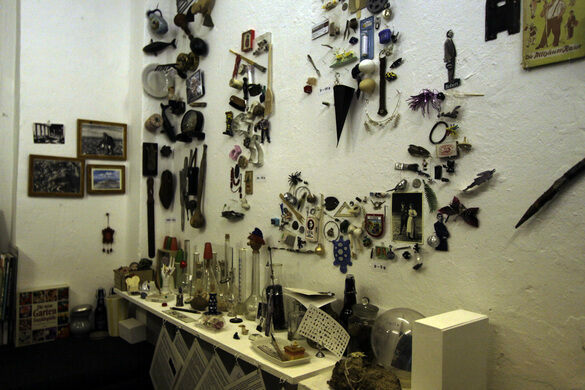 The Museum of Unheard of Things is a wunderkammer of curious and evocative items. 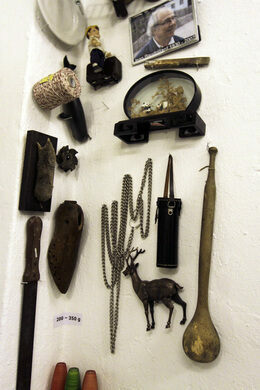 The objects in the collection are all arranged by their weight, and plastered all over the museum walls. The items themselves are not the entirely the point, though—what’s really on display is the power of imagination, for an “unheard of” story has been invented about each exhibit by the raconteur curator. 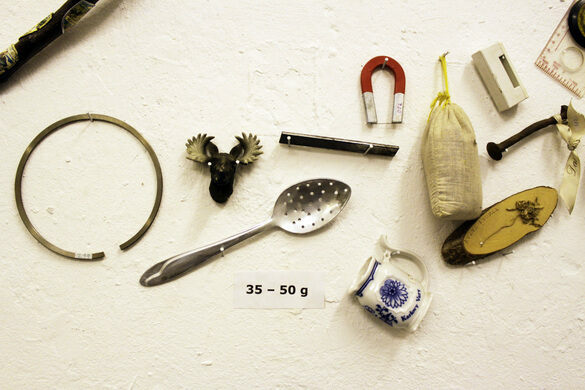 Each seemingly simple object inspires a tall tale or urban myth, told in a dry and convincing way by its label - so convincing, in fact, that some museum visitors leave in awe of the “petrified water” they have seen. Read the tale of the petrified potatoes, the story behind the fur of a Bonsai deer, or the cow-pie worshipping community, or how sacramental wine lost its red color. These are just some of the myths you can learn in this unique exhibition. 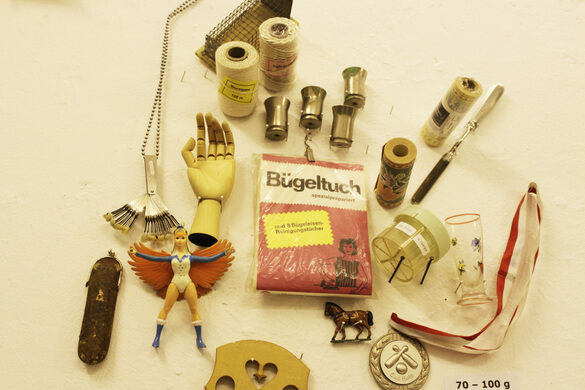 Located in an East Germany factory building, the museum is curated by artist Roland Albrecht, who also has a book by the same name. The idea behind both is to encourage people to pause and reassess their world view, to think about the bigger story behind the everyday things we take for granted, and to view the world through the lens of imagination.